Perfectly nestled in the Las Palmas community in St. Augustine is this 2 bedroom 2 bath condo. This unit has been beautifully kept and is in move in condition. Concrete construction and a new roof means peace of mind. Featuring an open living area that flows nicely into the dining area and kitchen, this Estancia floorplan is very popular. You will love the gorgeous wood and tile flooring that is so easy to maintain. The kitchen is well equipped and has plenty of storage. The Master bedroom is large and boasts a sumptuous attached bath with garden tub and shower. The lanai provides a place to spend time outdoors and enjoy the great weather.It has gated entry offering added security. Plenty of entertainment and sports areas can be found here including a full exercise room, in-ground pool and spa overlooking the Intracoastal, tennis courts, volleyball, and walking paths. Additionally, a children's playground and pet park for your 4-legged children. 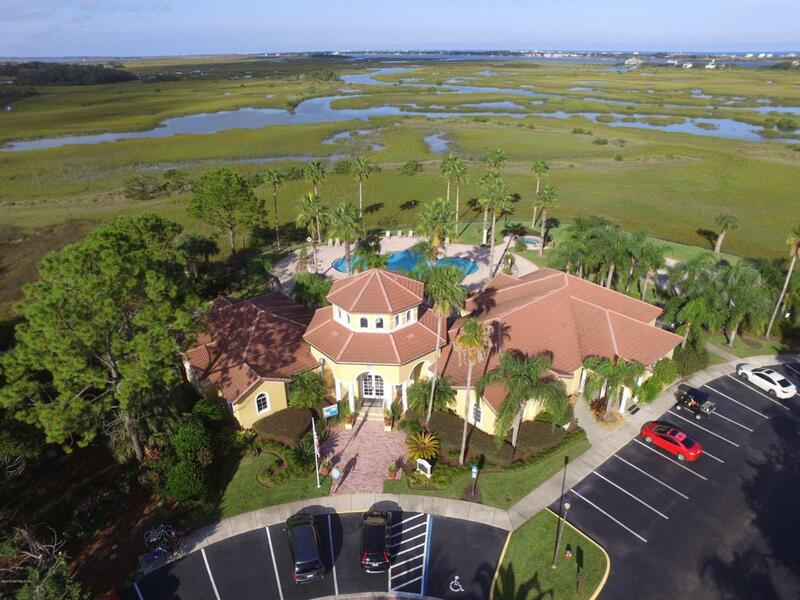 Residents enjoy a wonderful marsh-front clubhouse with an outdoor kitchen, perfect for entertaining. All this is located just minutes from I-95, historical downtown St. Augustine and nationally recognized events, festivals, shopping, dining, and vacation atmosphere. Las Palmas is Ideal for your permanent home or vacation get away.